I heard about FITposium through Instagram. I was walking out of the gym, thinking of ways to expand my impact on social media. When I opened the Instagram app, there it was a FITposium post, front and center. I had no idea what it was besides it being a conference, but I knew I needed to go. Something told me, this is going to help you grow your business, reach, and meet like minded Fitreprenuers. FITposium means to me a plethora of knowledge, like minded fitness entrepreneurs, and a community of support. FITposium is the place you can go to learn more about taking your brand to the next level, how to do it, meet people who are doing the same and are there to cheer you on as you do it. FITposium is where your ideas come to life and dreams become plans. My favorite thing about the FITposium community is that although we are all working hard to build our Fitness brands, we are there for one another. It truly is a community and has created some very valuable friendships for myself and others. I was able to meet so many amazing individuals but there were two women in particular, last year, who have changed my life forever. My friendship with Jessica Hutchens and Bella Hibbs blossomed at this event. If I had not attended this event, I would have never known that you can have true friendships with like minded individuals. I was able to celebrate my fellow FITposium PRO friends milestones, from Jessica taking a leap of faith and expanding her personal training to a facility to Bella tying the knot! This is what FITposium community is truly about, supporting one another in all our milestones, from branding, business, and just plain life! Before FITposium, I had ideas in my head of things I wanted to do but had no idea how to execute them. 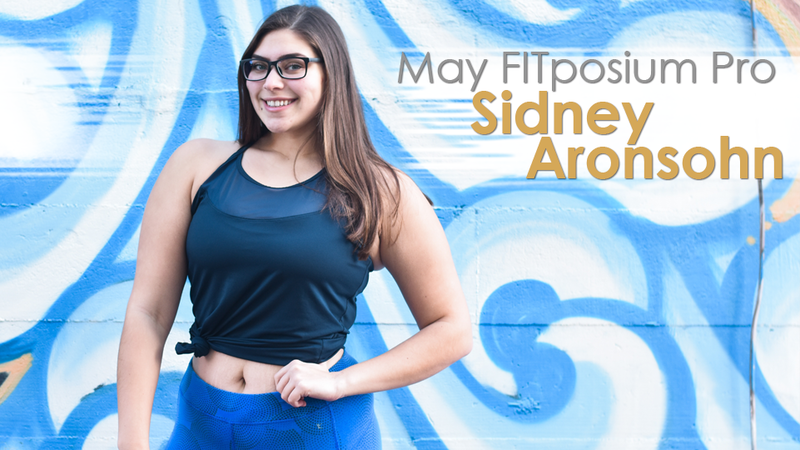 Attending FITposium helped me cultivate my brand and purpose. At this event I was able to gain clarity on my goals, purpose, mission statement, and how to make it all a reality. I learned the importance of having an email database, how to pitch article ideas to a magazine, and tools I can use to make my life more efficient. My favorite moment from FITposium was that “Ah ha!” moment I had listening to Jill Coleman speak. During her session, I was taking notes like a madwoman, the wheels were turning, and all the ideas I had in my head we’re finally clicking. Listening to all the knowledge she had to offer turned my ideas into plans of action. My goal for 2018 is to be able to give out valuable free content to teens and 20’s looking to be healthier through my social medias. I want to be able to help women who are desperate for a change but don’t know where to start, have hope and take action in their own lives. The goal for 2018 is to continuously impact lives and show women they are capable of transforming their lives into one they love. Along the way that will come with amazing transformations, live altering events, and the fulfillment of being able to leave an impact.